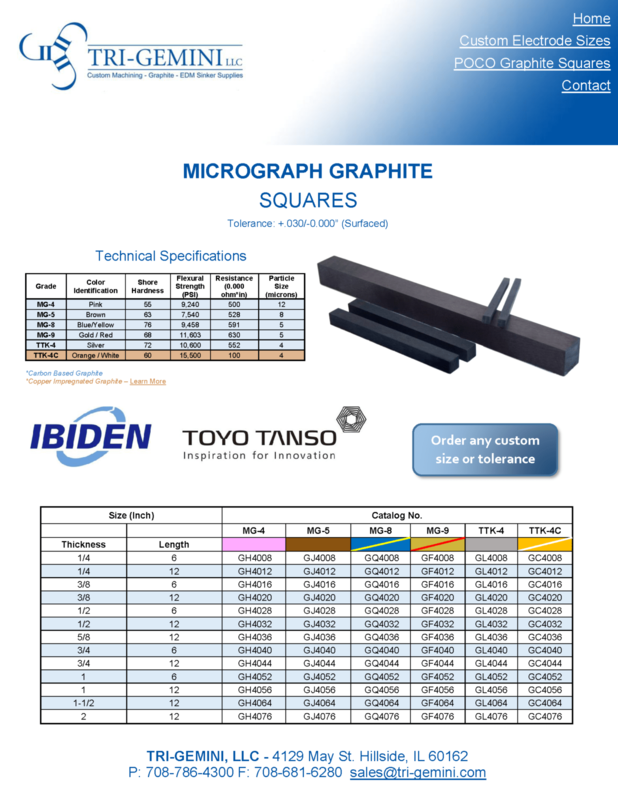 Toyo Tanso manufacturers high performance graphites used in sinker EDM machine applications. 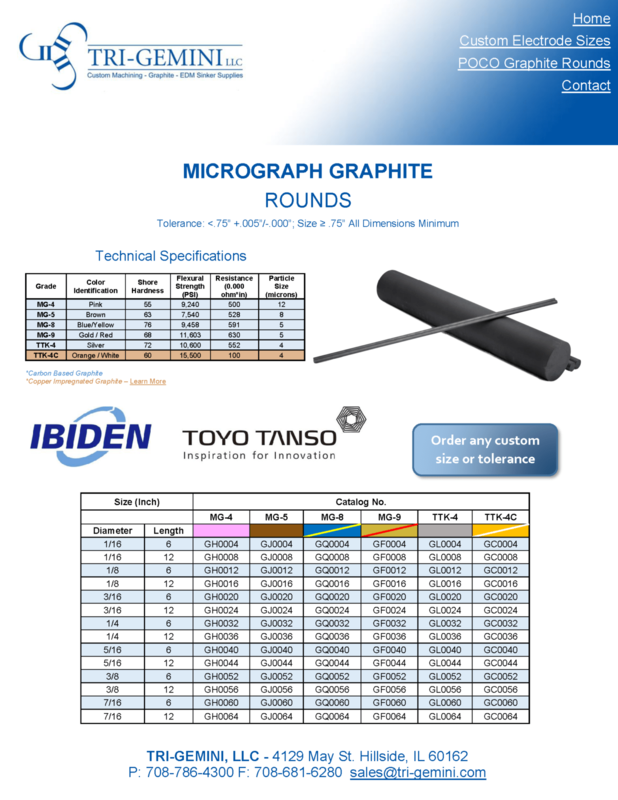 Toyo Tanso have developed the TTK series of graphite to offer a cost competitive advantage over their competitors while still offering exceptional performance. 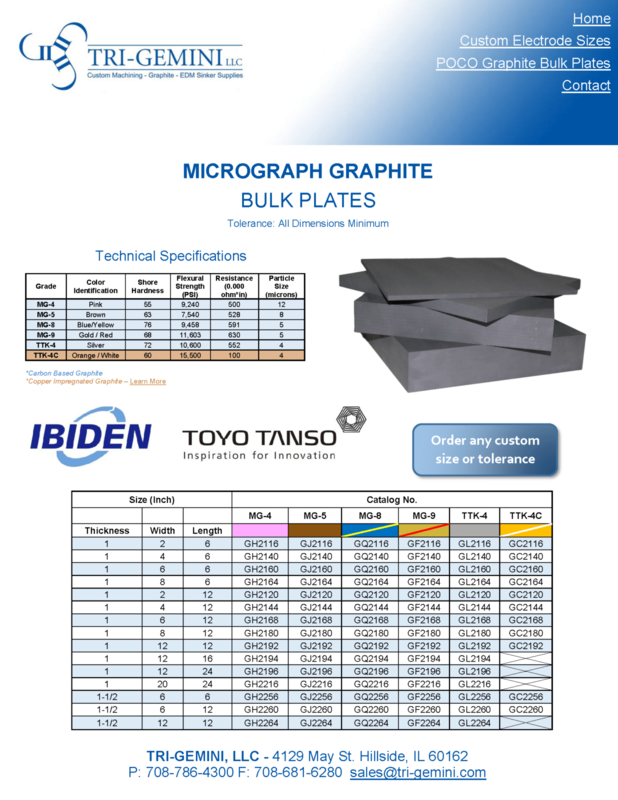 Tri-Gemini carries Toyo Tanso grades TTK-4, TTK-4C, TTK-55.